I've been hesitant on posting this, conscious of the fact that I am not a health expert or a medical practitioner. What I am, though, is a person who likes trying new stuff. So when I heard that essential oils are all the rage right now, I got really curious and tried it. Fortunately, I have a good friend who introduced me to an excellent company that sells high-quality essential oils. At that time, I was suffering from extreme allergy symptoms, and I wanted a quick yet non-synthetic cure or relief for my ailment. I got tired of taking too many anti-histamine pills since I don't like the rebound effect they give me. Along with healthy fruits and vegetables that I tried which are targeted to help alleviate my symptoms, I bought 3 essential oils that my friend recommended I try. If you do a quick research online, you will find lots of benefits of peppermint to the body. Its properties consist of being analgesic, antibacterial, anticarcinogenic, anti-inflammatory, antiseptic, antispasmodic, antiviral and invigorating. Although I honestly don't understand most of the terms there, just reading the 'anti-inflammatory' property gives me an idea that this stuff is legit. In its essential oils form, it instantly calms my sneezing spasm and my runny nose episodes, stuff that really annoys me when allergy hits. The way I apply it, I put a drop of EO on my finger and apply it on the back of my neck. Careful not to put it near the eyes! Aside from that, I use a few drops of it on my tummy to alleviate my belly pains. So soothing and calming, this essential oil is perfect for healing scars and insect bites. A lot of people, I included, use it to aid in relaxation especially when I'm mentally stressed out. For some reasons, it works! This is one of the Essential Oils that has so many uses and so many benefits that you totally cannot go wrong with it. Burns, Bites, Scars, Sleeps - maybe that will help you remember what it's for! Now, we all know that lemon can contribute in clearing out skin blemishes and it's been used in many facial products suited for oily skin. This has been good news for me since now, I can make my own blend of toner or moisturizer with ingredients that I can definitely understand. 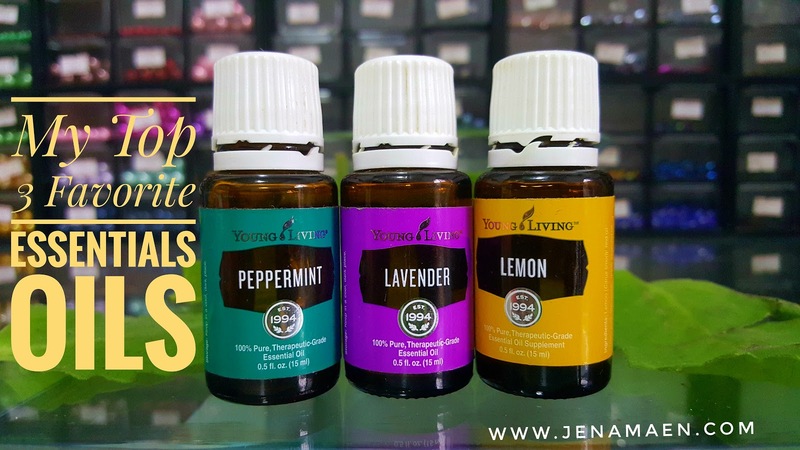 There are more to say about essential oils and its benefits, but if you're starting out in your own EO journey, I recommend you start with this three and do your own research first. It's been said that Lavender is the "Swiss Army Knife" of essential oils, the three has been dubbed the "Allergy Trio" - but whatever names they come up with, combine or by itself, essential oils can do wonders to our body! Not only for allergies but for so much more! Here is my favorite roller recipe to combat allergy symptoms during those times they occur. Please note that this recipe is not mine but it works miracles on me when I need it! Fill with Carrier Oil of your choice. I use Sunflower Seed Oil. If you think you're ready to embark on this incredible journey, click this link to claim your kit immediately and to know where I get mine. The information contained on this page is meant for educational and informational purposes, and to motivate you to make your own health care and dietary decisions based upon your own research and in partnership with your healthcare provider. The information contained on this page is NOT meant to diagnose, treat, cure, or prevent any disease. It only represents what I have chosen to do to take charge of my own personal health and that of my family. Statements on this page have not been evaluated by the Food and Drug Administration. This post may contain affiliate links, which means I may receive a commission if you click a link and purchase something. Please check out my disclosure policy for more details.